And even now, there are vast legions of women (see story) actively thwarted by their family, their men…. My talk in Davis, CA last Saturday was fun. Mine was the third of several Tire-Side Chats organized by the U.S. Bicycle Hall of Fame. Without the ‘tireless’ efforts of John Hess, Sarah McCullough and Heather Crawford, I’d not have pulled it off. None of the ( loosely packed) room left early, and I even managed to ply a few of them with free Syrah donated by Arnot-Roberts. 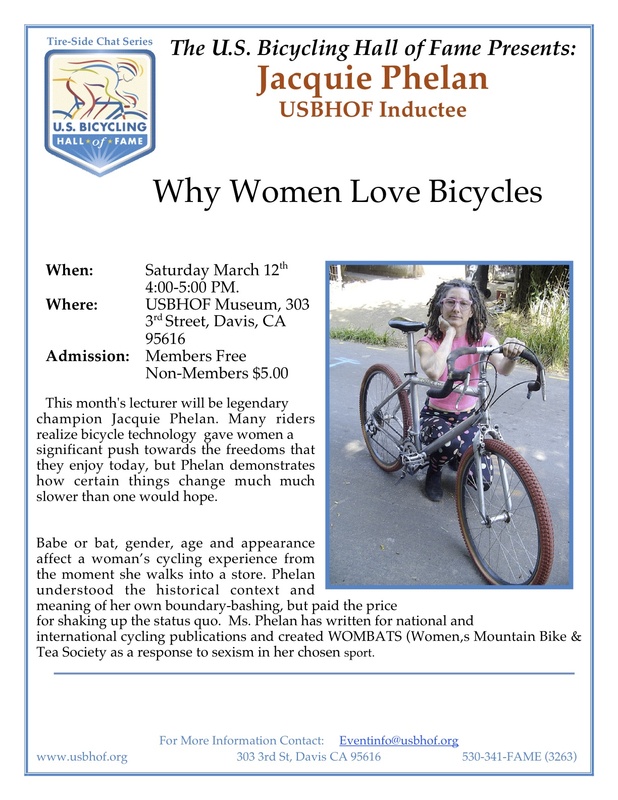 The title of the talk was Why Women Love Bicycles. 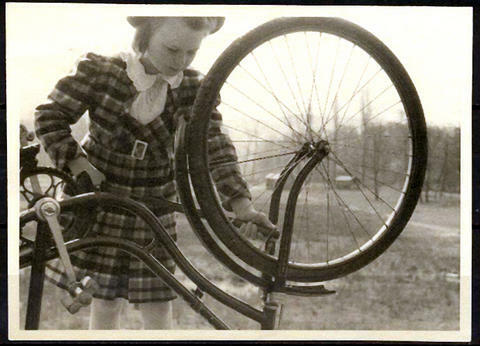 My aim was to demonstrate that ever since the safety (equal-size inflatable tires) bike, women took to the roads and significantly expanded their “Her”izons. It was no easy thing, and the medical community, business community and the town hall all weighed in on the subject, pro or con. There is nearly no way to understand how heated the debate was, until you simply substitute “freedom of choice” versus “baby killing” and that is about the heat level of the debate, as well as the intractability of the two unwavering sides. O reader, if you are interested in coming to the next run of my short (half hour) talk, please leave me a note, and I’ll let you know when I ‘m taking it to Berkeley (Velosport Bike Shop, probably). You continue to amuse me! I really enjoyed reading the article about the Muslim women’s cycling club in London. It sounds like those ladies are finding a way to have a good time against a significant quantity of adversity. Good on them! Jacquie, is that you on that old picture? My husband has a friend in his bike racing club who married a woman from Iraq. 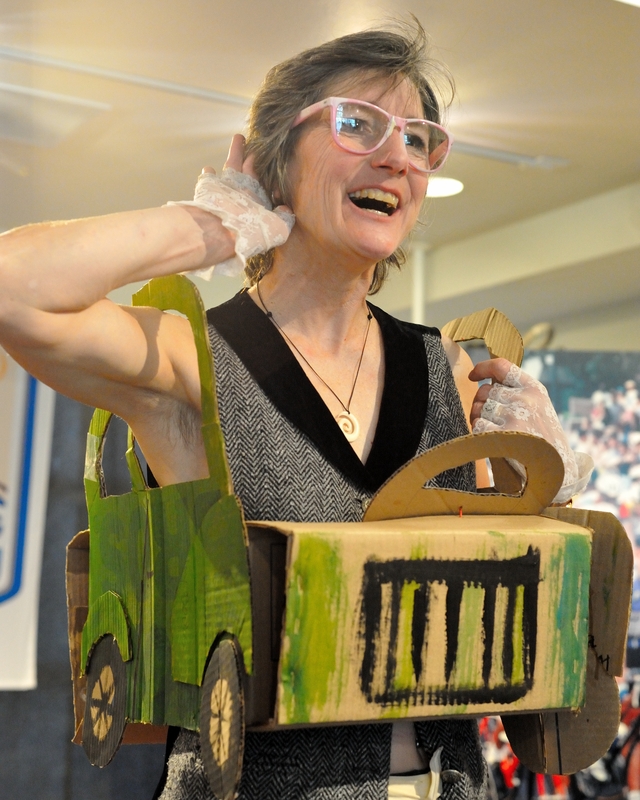 She has just learned to ride a bicycle and works helping refugees settle in our town. I’ll have to share the story with her. By the way, I’ve put together a big list of women bike bloggers that I’m promoting via Twitter and Facebook, just in the interest of building the community. It’s been a wild ride reading such varied writers with so much in common. I found your blog along the way via a link from someone else (which is pretty much how I’ve found all of these). Hope it’s bringing you some new readers.